i love going to the mailbox. sometimes it really makes my day. saweet! is what i say. magazines also showed up in my mailbox. both of which are the autumn, fall, & halloween specials! i am so ready to decorate my home! & i am not ashamed to admit that i have already ordered my little tiny's costume. & appreciating what we do have. 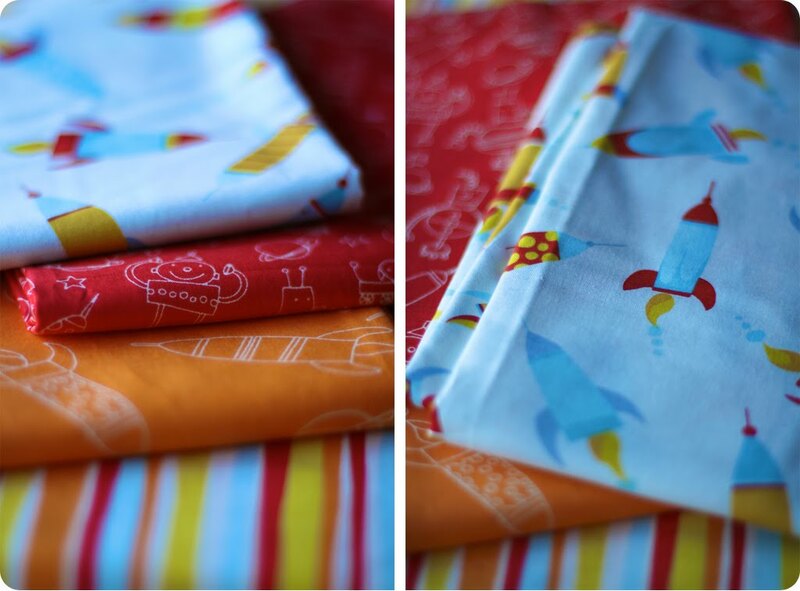 love the fabric! what are you making? also, what is nora gonna be for halloween. as for my kids...i am stumped. Help me out with finding a costume for Max! I cannot figure out what to do. I so wish I had your niche for decorating. I also wish I could be decorating instead of packing. 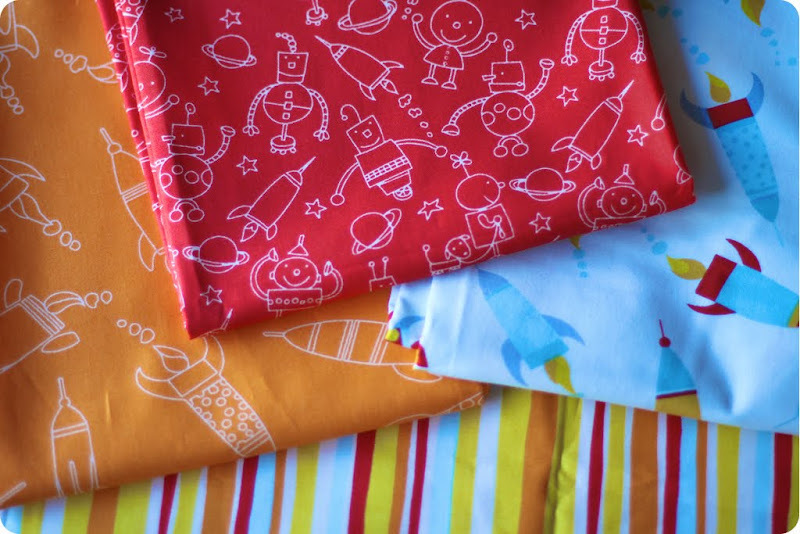 Those fabrics are so whimsical and cute for a little boy! I can't wait to see what you make with it! As for costumes, I don't need to worry about that this year as we will be long gone on vacay! Woohoo - even though I absolutely love Halloween - the costumes for four kids stresses me out!